Winter is known to be a time when colors like black and grey dominate. Unfortunately, that’s quite drab and it makes me feel sad. 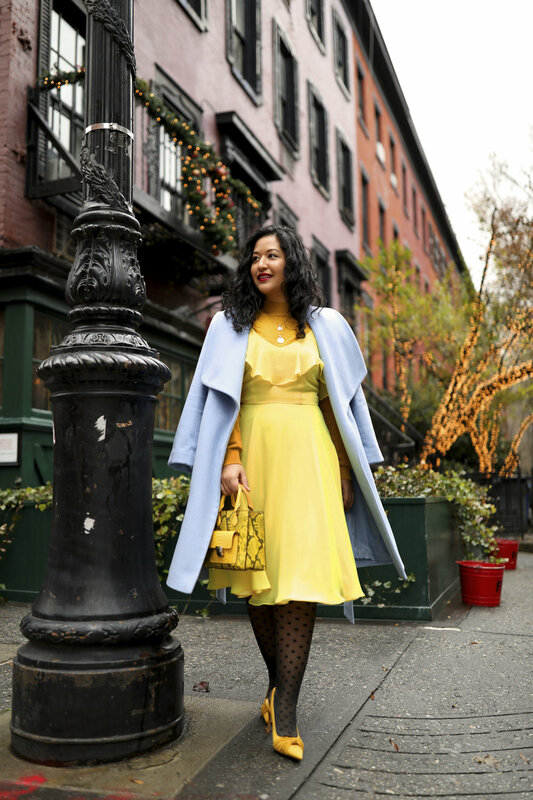 Winter should be about color too- bright pinks, lavender, baby blues, and yellow! But how do we incorporate color into the saddest feeling season? Simple! I think the first step to incorporating color into your winter wardrobe is with a stripe sweater. Stripe sweaters hold several colors in the pattern, making it easy to pull colors from for other pieces. 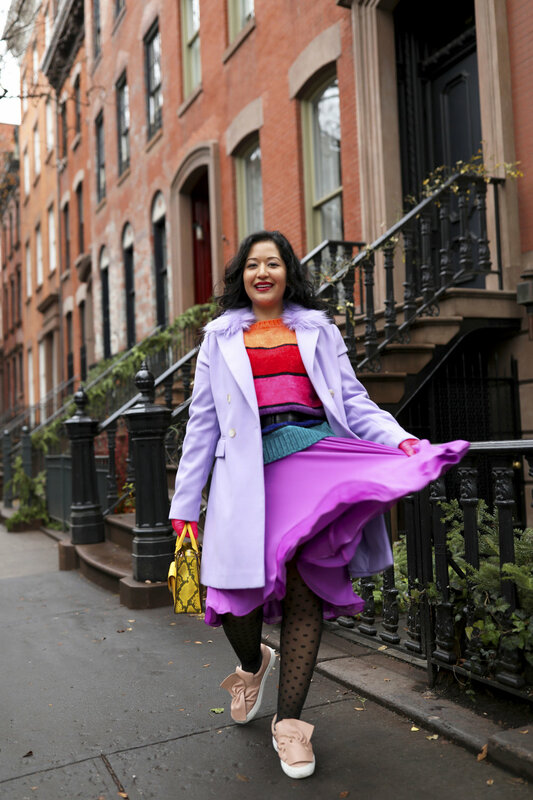 Pull a color you love from a patterned sweater for the pants or skirt. 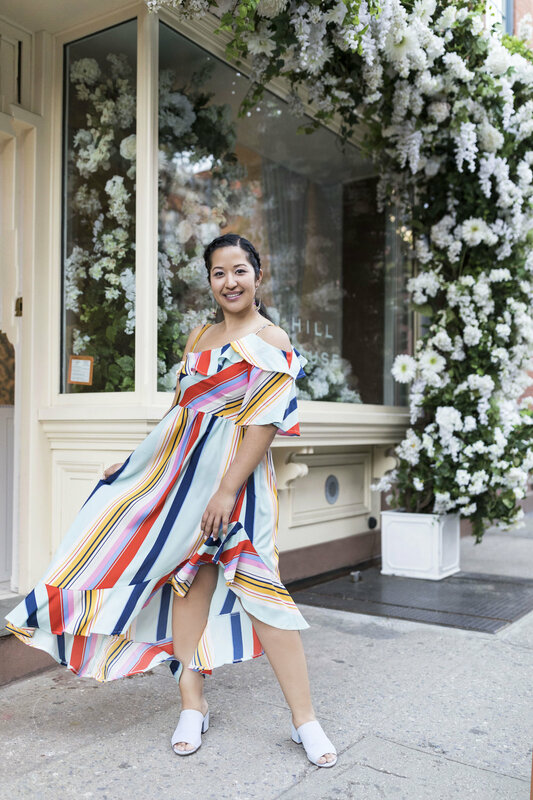 This will brighten up the look while looking very put together. 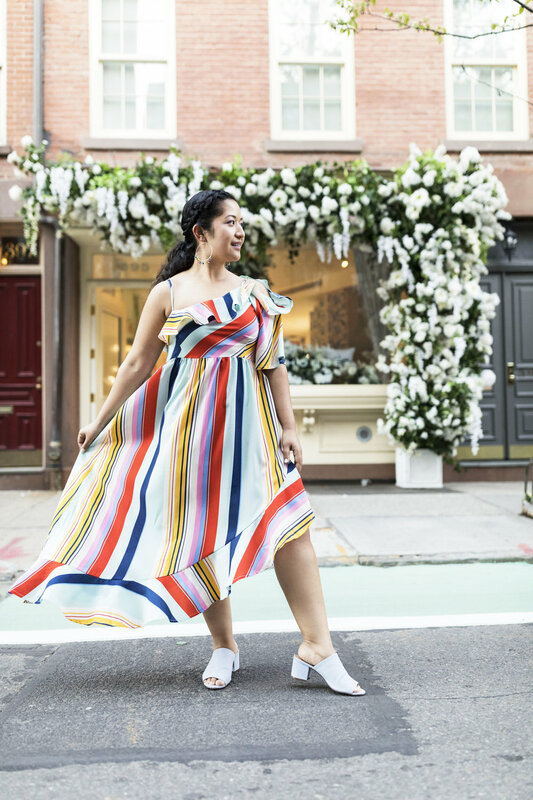 They are the perfect starting point to bringing color into your wardrobe. 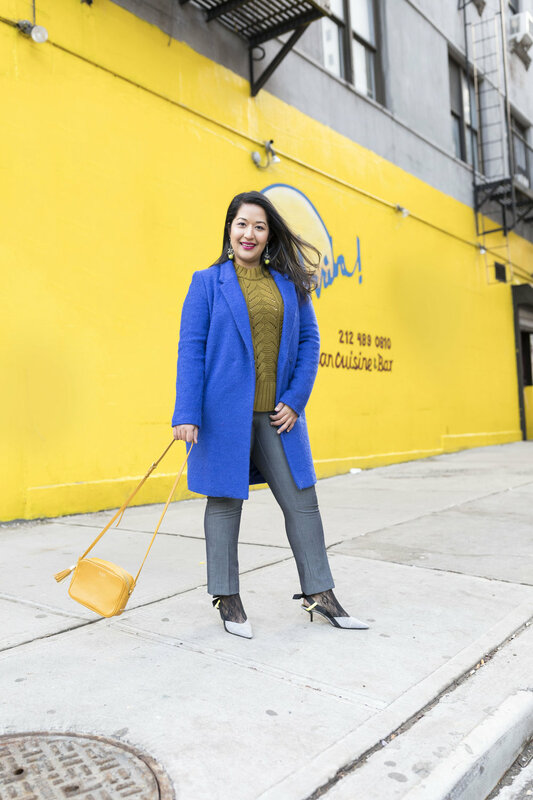 Another way to add color is through a statement colored coat! I’m personally starting a collection in hopes to own the full rainbow one day. A statement coat is a great investment piece because it elevates a simple look and takes a fancy look to another level. You may feel cautious in your color choice, but don’t overthink it. 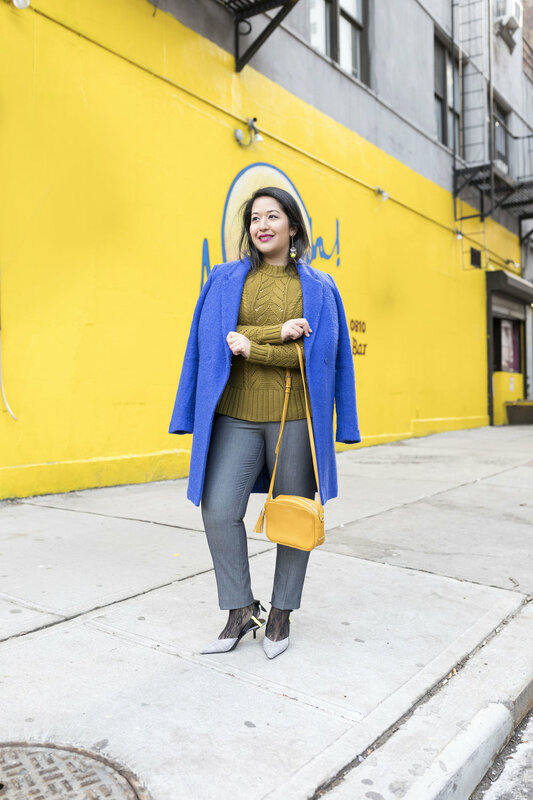 A colored coat is a perfect addition to an all black look, and compliments a colorful look. 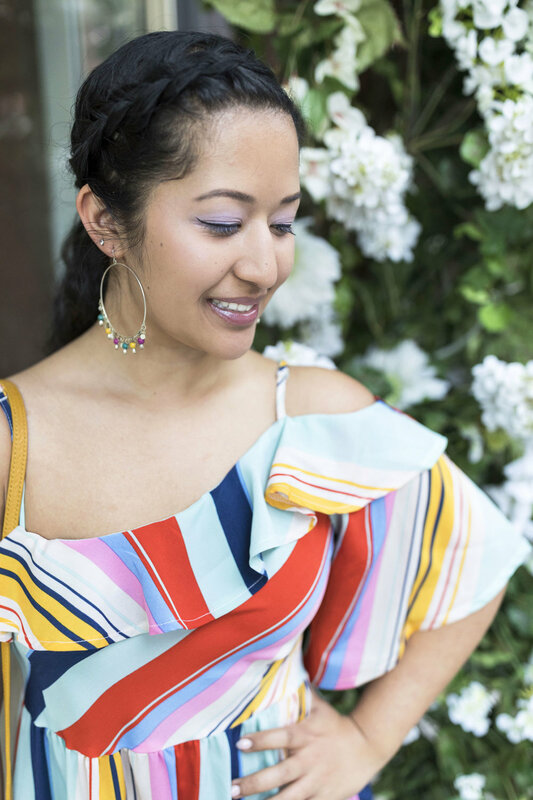 If you are not into a colored clothing, accessories are another way to bring a tiny pop of color to your look. 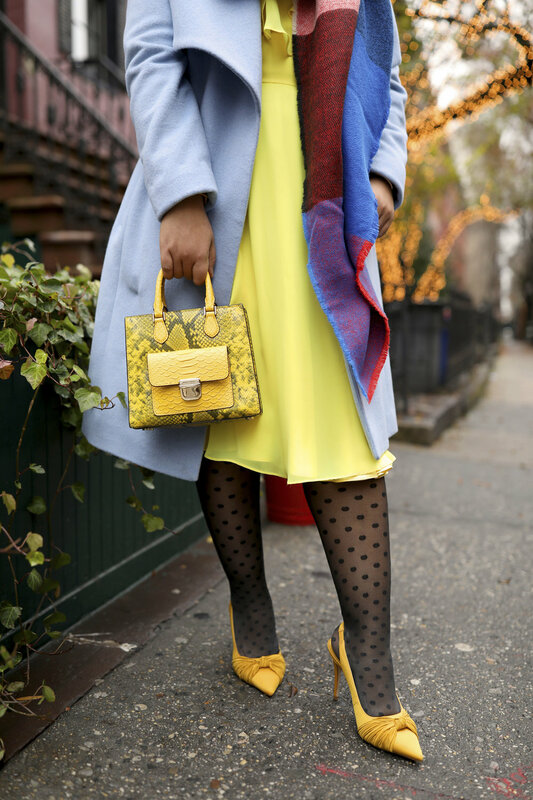 Instead of going for the traditional black gloves, pick up a bright color. 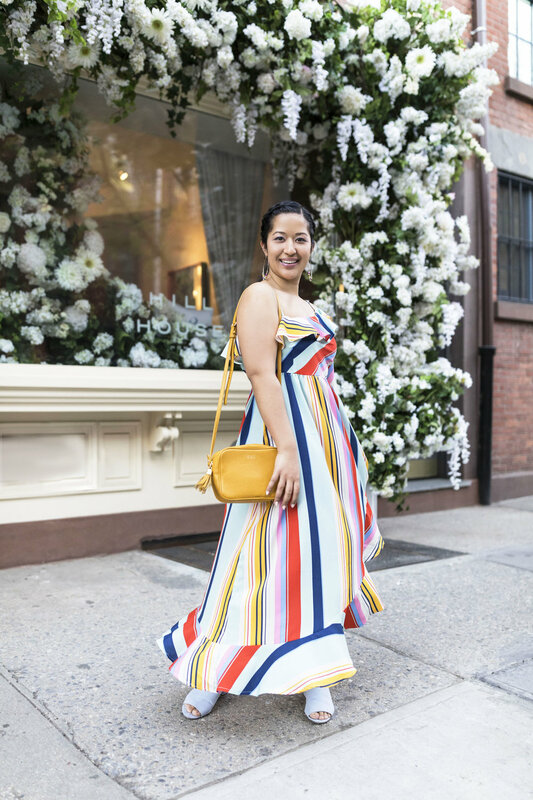 Try a bold colored purse too- something other women will be looking at from miles away. 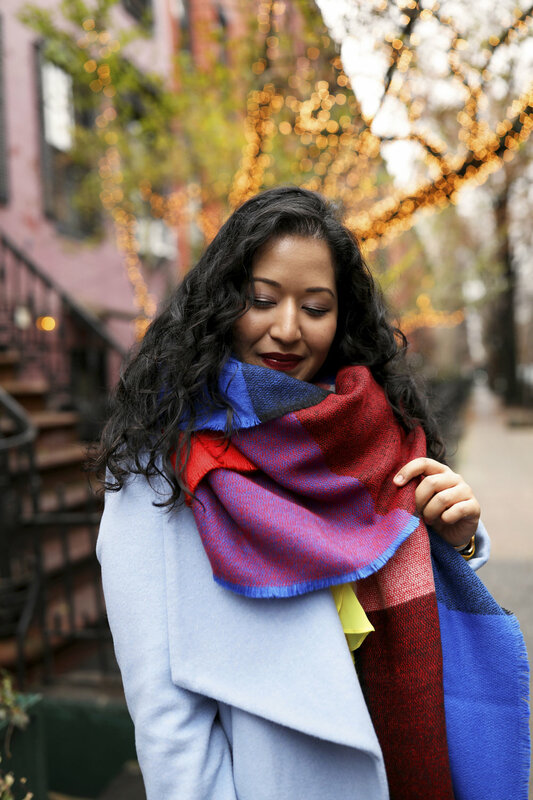 Accessories truly make an outfit and color makes it fun during the cold months! 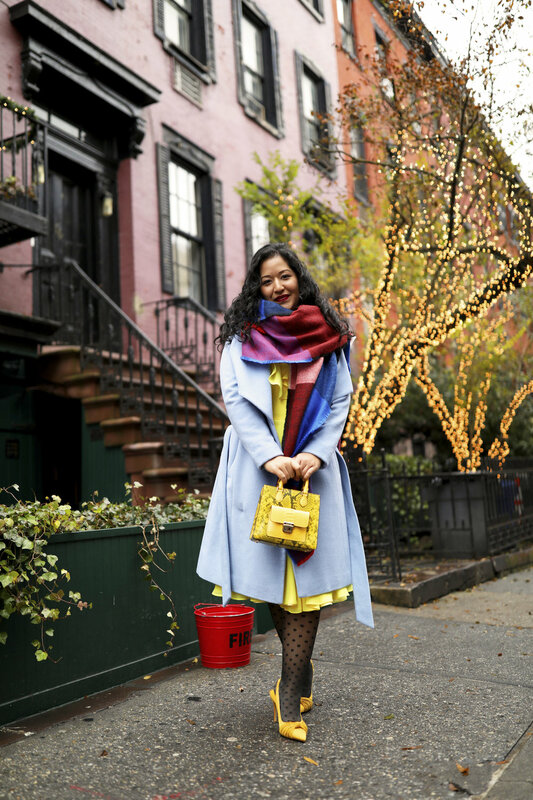 Have a happy colorful winter! 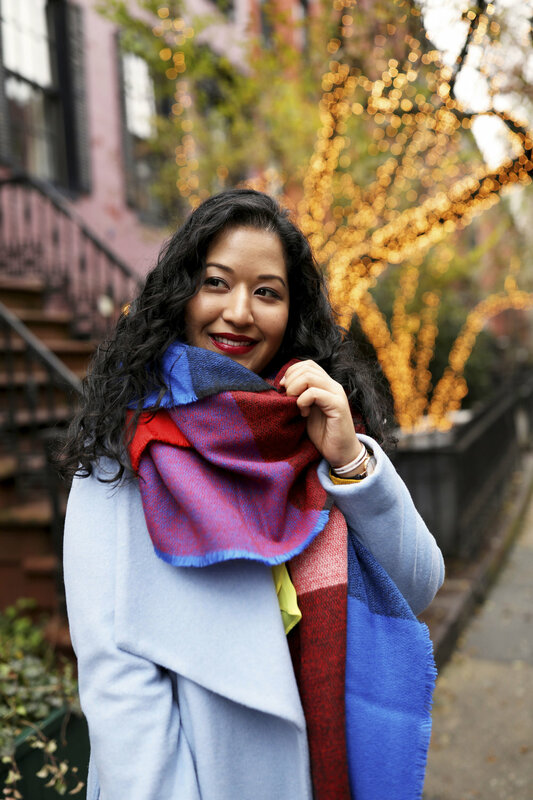 As the chilly Winter season is at its peak, it’s hard to decide what to wear while looking fashionable (instead of frumpy). Today, I’m sharing three chic ways to wear white jeans in the winter! But first, I wanted to let you all know that I’ve partnered with Signature by Levi Strauss & Co.™ for their Win Her Wishlist giveaway. One lucky winner will receive my hand-picked wishlist, worth about $200! Head over to Signature Jeans on Instagram to enter! Now, I know some say white is a no-no after Labor Day, but I beg to differ. White is perfect for the cold months and I'm going to show you exactly how to pull of white jeans by styling these amazing Mid-Rise Slim Cuffed jeans from Signature by Levi Strauss & Co.™. I love these white Signature jeans for several reasons. First, they fit amazing! I'm a petite woman so when regular sizes are the perfect length, that’s a bonus. I'm wearing a size 8 and the jeans fit true to size. Second, the jeans are so comfortable! They are super stretchy without losing their shape so they keep you looking and feeling amazing all day. Last but not least, the white looks clean and crisp and can be paired with so many things! For the winter months, I love pairing white with classic colors like red, black, and even cheetah print! It is a color combination that you just can't go wrong with. A warm sweater, pumps, and infinity scarf go perfect with the Mid-Rise Slim Cuffed Signature jeans. The pop of red adds an interesting contrast with the white and you can’t be missed, top it off with a fabulous animal print statement jacket and you’re ready for any kind of holiday gathering. 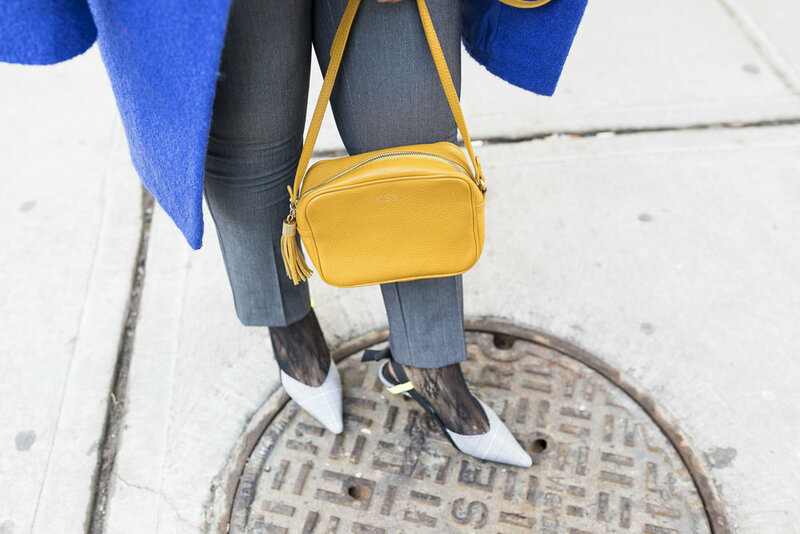 Color blocking is another way to wear white denim in the Winter. 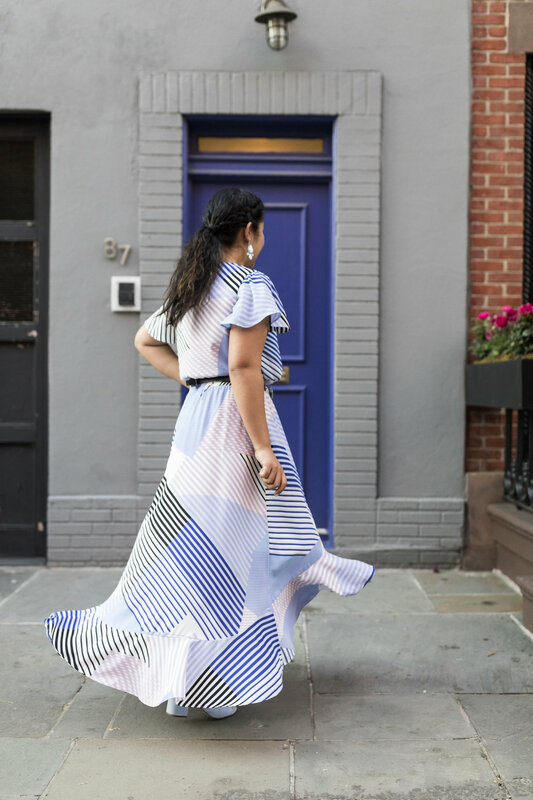 White makes color blocking so easy because it goes well with every color under the sun...and I mean every color! You all know how much I love bright colors (especially pink) so I couldn't think of a better color to incorporate into my winter wardrobe. Try pairing white jeans with two other vibrant colors this Winter. 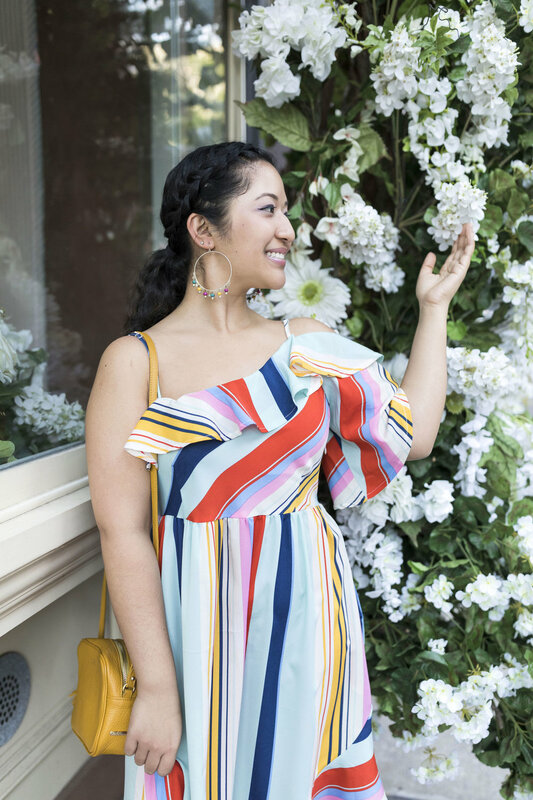 Get two solid pieces and wah-lah you have a perfect, color-blocked look! 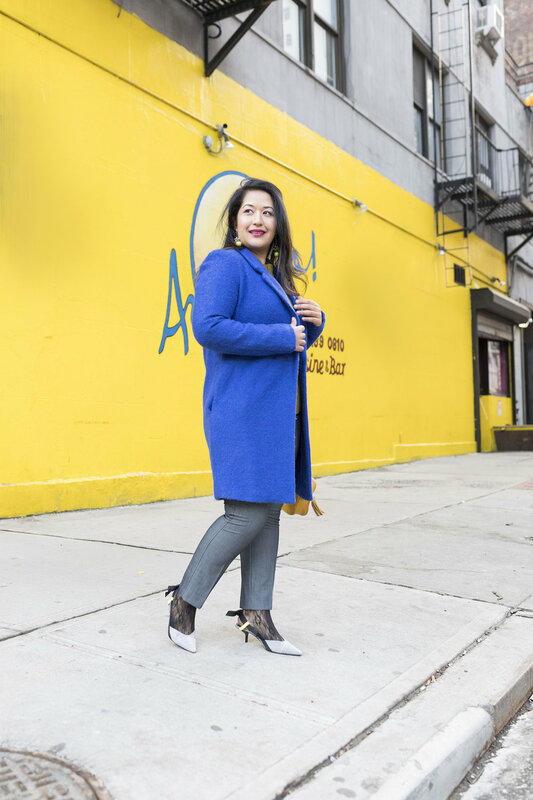 I opted for pops of hot pink and a contrasting royal blue jacket to make the color combo really pop. Another great way to wear white jeans is to pair them with pastel colors. I love light pinks, greys, creams, and even pale blues with a crisp white pair of jeans. The colors are so light and even have a spring feel, and that's why wearing substantial winter fabrics like wool and furs are the key to achieving this look. I paired my white denim with this pink, faux-fur jacket which helps the whole look feel warm – and trendy! And, the cuffed hem on these Signature jeans is perfect to show off your super cute shoes and fun socks.